Dude, you know you can cook food over a campfire, right? Once we learned about this guy on a Reddit thread we couldn’t resist sharing, although the details on this lovestruck pioneer are thin. A young man notched a “first” in the Sawtooth Wilderness, a 217,000 acre federally-protected area known to many as the “crown jewel” of Idaho. 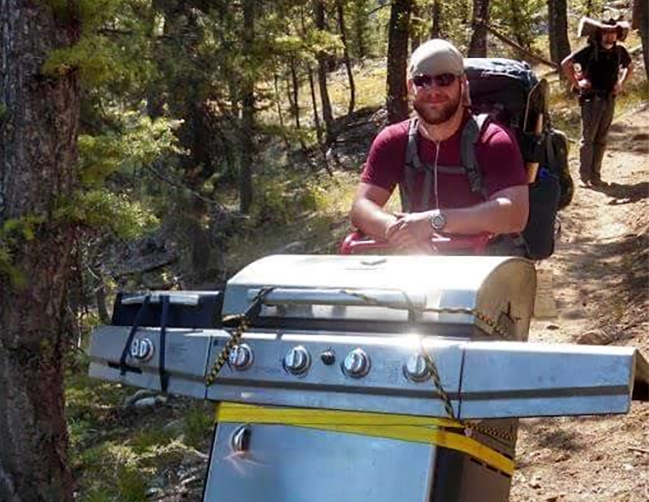 The man, under the influence of a much-desired woman, unashamedly dragged a full-size patio grill approximately 4.5 miles to a lake in the middle of the wilderness. He is, without a doubt, the first person to introduce the remote lake to one of man’s greatest inventions, the grill. His intent? To prepare a romantic dinner for his girlfriend in an attempt to woo her into saying yes to his imminent proposal. According to a passerby, who ran into him about 3 miles into his trek, the man had completed several water crossings, traversed multiple downed trees, and was preparing to tackle a number of steep inclines to finish his quest. 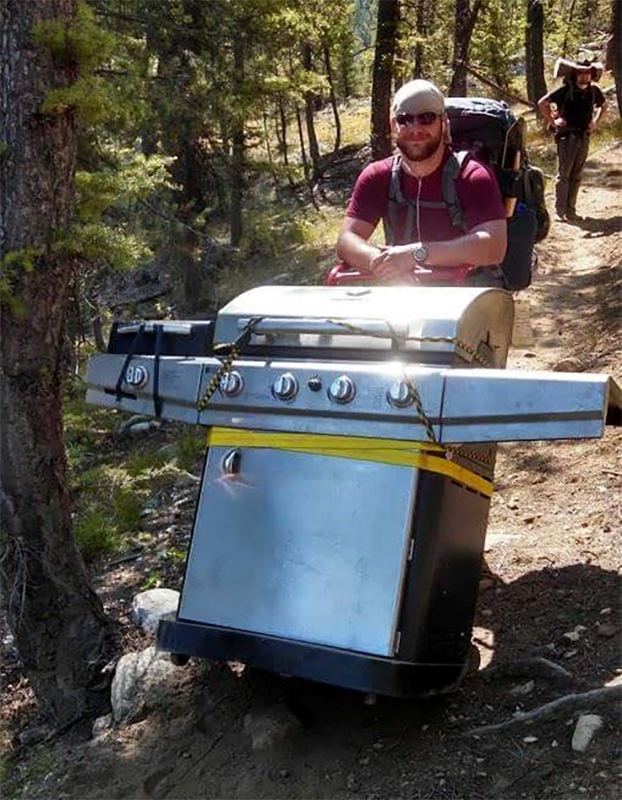 Because he was in a wilderness area, where carts or motorized vehicles are prohibited, he had to rely on the grill’s small wheels and his own manpower. Unfortunately, as pointed out by many commenters, he was likely still breaking the law due to the wheels on the grill. Is this man a proposal champion or out of his mind? Was he too lovestruck to realize that he could achieve the same meal results by simply cooking over a fire once at the lake, or by maybe packing a small camp stove? What was his plan after the proposal, to have his new fiancé help him haul a massive grill back to his truck? Had he even thought that far? And, more importantly, what if she said no? Nevertheless, you have to give this guy credit for going the extra 4.5 miles. Although he will likely forever go anonymous, he will always stand as a symbol for the power (and blindness) of love.